After the loss of his dad in 1998, Kyle found healing in country music. He picked up a guitar at the age of 14 and never looked back, with his first paid gig coming one year later. At the time, he couldn't see far enough down the road to realize that he was beginning a career as a singer/songwriter. "I was really only focusing on playing country music. That's all I wanted to do at the time, and all the time. I made my first record simply because I wanted to record the songs I had written. I hadn't grasped that this was ever going to take me where it has, on an indescribable musical journey." By the time he had released his debut album (‘Big Time') in 2005 at the age of 20, Kyle was performing hour-long shows with more than fifty-percent of his own music. 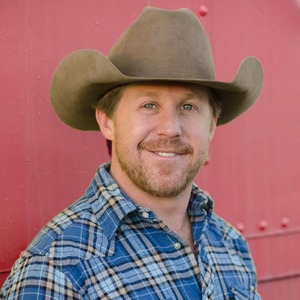 Coming a long way from performing for his family in the backyard, this young man from Leander (north of Austin) was quickly becoming one of the hottest names in the Texas country music scene. He's impressively had seven #1 singles on the Texas Regional Radio Report (TRRR) and eleven singles on the Texas Music Chart's Top 10. His limited edition 'Fall EP' (now part of the "Make or Break Me full-length album) peaked at No. 1 on the Billboard Heatseekers South Central list. Kyle's reaped consistent national press coverage from CMT, TCN (The Country Network), Taste of Country, Country Weekly, All Music, Guitar World and more. He was direct support for numerous notable and legendary artists including George Strait, Clint Black, Mark Chestnutt, Gary Allan and more. Kyle's latest project, his sixth studio album Don't Forget Where You Come From leans exactly in the direction you would expect. Inspired by the style of music he grew up listening to, this new album is a return to Kyle's signature neo-traditional country sound brimming with honkytonk-fueled fiddle, pedal steel and searing guitar riffs punctuated by his most honest and contemplative lyrics to date. Don't Forget Where You Come From is Kyle's reaffirmation record, focusing back on the storytelling side of country music. "I believe that this record carries more meaning and much better stories than anything else I've released. It's a storytelling album, what I believe country music is and has always been: lyrics first." Recorded in Austin at Ray Benson's Bismeaux Studio, Don't Forget Where You Come From was produced by Park and boasts nine original tracks written or co-written by Park, along with one cover tune. Even though this newest release is Kyle's way of bringing things full-circle, we can't expect any signs of things slowing down. "I'm a "lifer." I was fortunate enough to find my passion very early in life." With six records under his belt, it's safe to say that there is plenty more to come down the road.